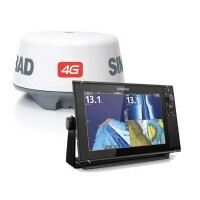 Multifunction Displays, Chartplotters & Fishfinders	There are 44 products. 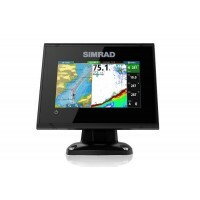 SIMRAD Multifunction Displays, Chartplotters & Fishfinders - GO XSE, NSS evo3, NSO evo3. 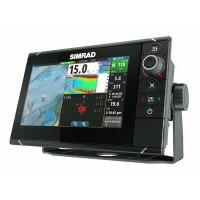 All newest releases from SIMRAD. Radar+ packages & bundles available. *Free US Shipping! Get more from every day on the water with the Simrad GO5 XSE, a perfect fit for compact sportboats and dayboats. 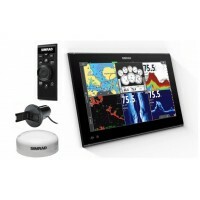 Full-featured chartplotter with widest available cartography support (Insight, Navionics, CMAP). 5-inch flush or bracket mount display. Widescreen with bright LED backlight. Includes TotalScan™ transducer for medium/high frequency CHIRP sonar and StructureScan® HD imaging. 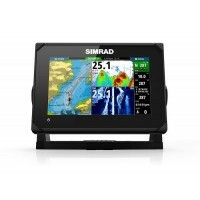 Simrad GO7 XSE Chartplotter / Fishfinder, a perfect fit for compact sportboats and dayboats. Control your onboard sound system, monitor engine data and more over NMEA 2000®, and choose from an array of built-in sonar technologies. Insight USA. Includes HDI Skimmer® transducer for medium/high frequency CHIRP sonar. 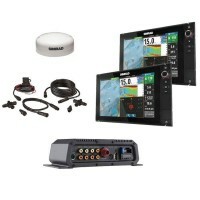 SIMRAD NSS7 evo3 Multifunction Display with Insight USA Lake & Coastal Charts - Navigate, take control, and enjoy an unprecedented level of built-in functionality with NSS evo3. NSS evo3 includes built-in GoFree® Wi-Fi, true dual-channel CHIRP sonar, and much more. 7 Inches. 9 3/8" Width x 5 7/8" Height x 3 1/2" Depth. Waterproof. 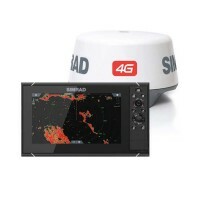 SIMRAD NSS7 evo3 Multifunction Display and Broadband 4G Radar Package - Navigate, take control, and enjoy an unprecedented level of built-in functionality with NSS7 evo3. NSS7 evo3 includes built-in GoFree® Wi-Fi, true dual-channel CHIRP sonar, and much more. Internal GPS Antenna. Networks up to 6 Displays. 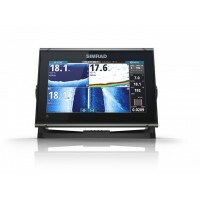 SIMRAD NSS9 evo3 Multifunction Display with Insight USA Inland/Lake and Coastal Charts - Navigate, take control, and enjoy an unprecedented level of built-in functionality with NSS9 evo3. NSS9 evo3 includes built-in GoFree® Wi-Fi, true dual-channel CHIRP sonar, and much more. 11 1/4" Width x 6 1/2" Height x 3 1/2" Depth. Waterproof. 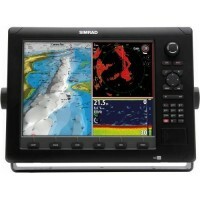 SIMRAD NSS12 evo3 MFD / Chartplotter. Navigate, take control & enjoy an unprecedented level of built-in functionality. SolarMAX HD display tech offers exceptional clarity & ultra-wide viewing angles, combined with all-weather touchscreen & expanded keypad for total control in all conditions. Includes Insight USA Inland/Lake and Coastal Cartography, Radar & Sonar. 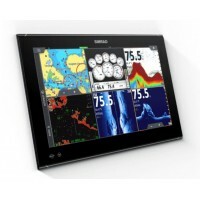 SIMRAD NSS16 evo3 Multifunction Display with Insight USA Inland and Coastal Charts - Navigate, take control, and enjoy an unprecedented level of built-in functionality with NSS16 evo3. Includes built-in GoFree® Wi-Fi, true dual-channel CHIRP sonar, and much more. Includes Insight USA Inland/Lake and Coastal Cartography. 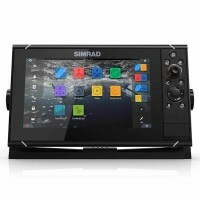 SIMRAD NSS12 evo2, 12" Widescreen Multi-touch Mulit-Function Display w/ internal GPS and built-in Broadband/CHIRP/StructureScan Sonar. Optional Radar, AIS, Sat WX/Audio, WiFi. Preloaded Insight charts, optional Navionics, C-Map Charts. 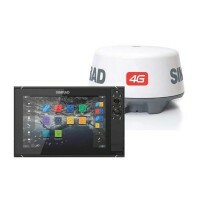 SIMRAD NSS12 evo2 / Broadband 4g Radar Bundle. 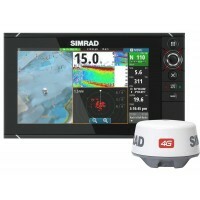 MFD - built in high gain 10Hz GPS / GLONASS, CHIRP / Traditional sonar, StructureScan & Insight charts. Low profile glass design, widescreen, multi touch, crystal clear 12.1" display. New, easy-to-use HEROiC Software maximizes benefits of widescreen technology. Broadband 4G Radar. 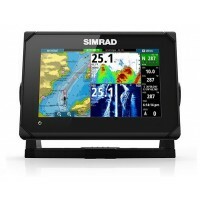 *For All The Newest Simrad Radar Packages, See Here! *FREE US SHIPPING! 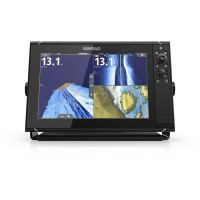 The NSS12 evo2 combines an easy-to-use, 12-inch chartplotter/multifunction display with built-in GPS positioning, StructureScan® HD, CHIRP-enabled broadband sonar, and powerful expansion capabilities. 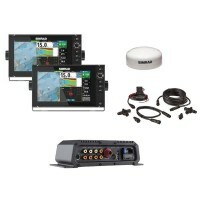 Standalone in a centre console or fully integrated in a modern glass bridge, the widescreen NSS12 evo2 is well suited to sportfishing and power boats. 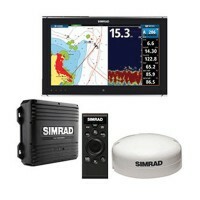 Available Accessories: Radar, Sonar & Weather. 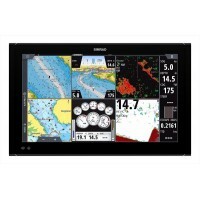 NSO evo2 is the premium single or multi-display multi-function navigation system for large performance-minded powerboats. 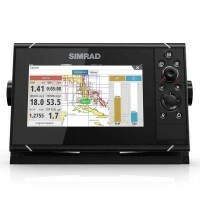 The Simrad NSO evo2 is a distributed system multi-function display ideally suited for the professional and recreational mariner, typically with a boat 35' or larger. Multi-touch touchscreen control. 25W power consumption, 12/24V power supply voltage.